Kate and Albert, sister and brother, are not yet the last two human beings on earth, but Albert is hopeful. The secluded communal farm they grew up on is - after twenty years - disintegrating, taking their parents' marriage with it. They both try to escape: Kate, at seventeen, to a suburbia she knows only through fiction and Albert, at eleven, into preparations for the end of the world - which is coming, he is sure. And then there is Don: father of the family, leader and maker of elaborate speeches. Faced with the prospect of saving his community, his marriage, his son from apocalyptic visions and his daughter from impending men, he sets to work on reunifying the commune by bringing it into the modern age, through self-sufficiency, charisma and a rave with a 10k soundsystem. The last day on earth is coming. Bring your own booze. 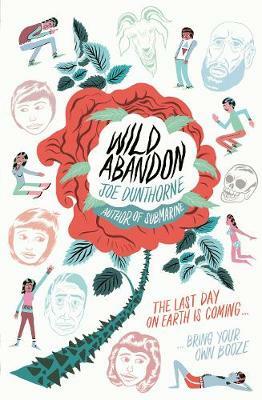 If you like your fiction quirky, darkly humorous and, well, just a bit different, then Joe Dunthorne's new offering is for you.